NANOBIOTIX (Euronext: NANO - ISIN: FR0011341205), a late clinical-stage nanomedicine company pioneering novel approaches for the local treatment of cancer, today provides an update on the global development of its lead product, NBTXR3, across all indications. NBTXR3 is a first-in-class radio-enhancer nanoparticle designed for direct injection into cancerous tumors. NBTXR3 has the potential to improve radiotherapy efficacy by destroying locally advanced tumors more efficiently. It has been engineered to increase the local absorption of the radiotherapy dose and thereby increasing the efficacy of radiotherapy with the benefit of not increasing toxicity or causing damage to surrounding healthy tissues. 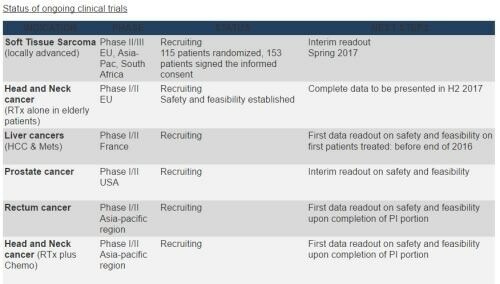 We made significant progress this year with the global clinical development of NBTXR3 across seven clinical trials and we are looking forward to potentially obtain a CE mark in 2017. Our filing was based on the scale and significance of the results already seen. The clinical and regulatory progress sets the stage for 2017, as we are getting closer to establishing NBTXR3 in combination with radiotherapy as a new treatment modality for patients suffering from solid cancers. Elsa BORGHI, CMO of Nanobiotix said: "
The Company currently has seven ongoing clinical trials across the world. 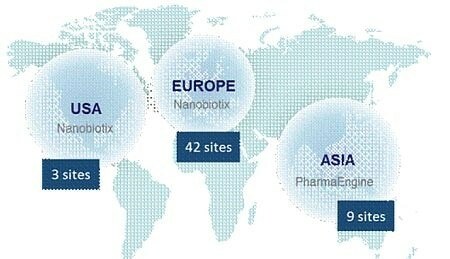 Overall 15 countries with 54 clinical centers and more than 300 physicians are involved in Nanobiotix's clinical trials. NBTXR3 is being evaluated in: soft tissue sarcoma (STS), head and neck cancers, prostate cancer, and liver cancers (primary and metastases). Additionally, head and neck cancer and rectal cancer trials led by Nanobiotix's Taiwanese partner, PharmaEngine, are underway in the Asia Pacific region. - 115 patients have been randomized and 153 have signed the informed consent in the STS pivotal clinical trial. The target of 104 patients needed for the interim readout has been reached. 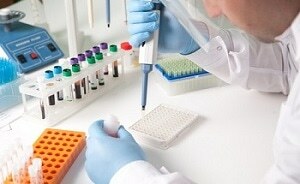 A total of 156 STS evaluable patients is expected in the "act.in.sarc" Phase II/III trial (www.actinsarc.com). - The Company expects to release the conclusion of the interim analysis conducted by an independent committee of experts in the coming months. This analysis will be performed four months after the 104th patient has been randomized (time to complete treatment plus readout). - PharmaEngine has started a new clinical trial in Asia in October 2016 for head and neck patient's population receiving chemotherapy in combination with radiotherapy. - A Phase I/II prostate cancer trial has been initiated in the US and now recruiting at Ronald Reagan UCLA Medical Center, Los Angeles and Thomas Jefferson University Hospital, Philadelphia. Dana Farber Cancer Institute, Boston should be joining the trial soon. The company filed for certification of NBTXR3 in August 2016 based on the current level of clinical and scientific evidence. LNE/G-MED, the French notified body, has given guidance that the review of results for a potential CE mark is expected in 2017. In November, the Company presented preclinical data at the annual meeting of the Society for Immunotherapy of Cancer (SITC), demonstrating that NBTXR3 actively stimulates the host immune system to attack tumor cells. Study results suggested NBTXR3's potential to transform the tumor into an in situ vaccine. On top of the Company's core development activities, these findings could open new potential collaborations for NBTXR3 through combinations with other immuno-oncology drugs.